Midlands housebuilder Avant Homes has released its final phase of design-led properties at Johnsons Wharf in Hanley, Stoke-on-Trent. Comprising 35 two-, three- and four-bedroom properties, the last phase of the development includes the Kingsbridge apartment and the Tiverton, Dartmoor and Dawlish house types. The three-bedroom Tiverton is complete with a designer kitchen, living and dining area with fully integrated appliances. The ground floor benefits from French doors which open onto the rear garden. Upstairs, the master bedroom features fitted sliding wardrobes and an en-suite shower room, as well as a second spacious double bedroom and a family bathroom. The Tiverton is energy efficient and conforms to level 3 of the Code for Sustainable Homes. 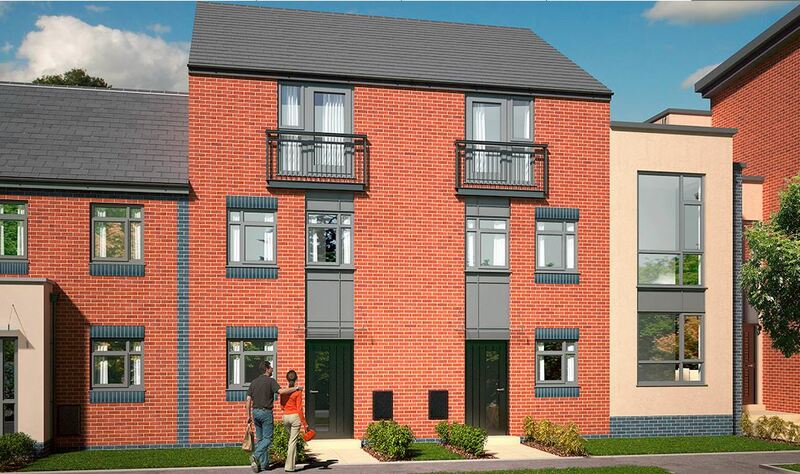 One of the properties available on the final phase is The Dawlish. Offering an abundance of space, this four-bedroom semi-detached home has been designed with families in mind. The first floor features a double bedroom and family bathroom, as well as a spacious single bedroom. On the second floor there is another single bedroom and the master bedroom, which features an en-suite bathroom. Avant Homes are also offering a Part Exchange scheme on the property. By offering to purchase a buyers’ current home, the scheme allows buyers to avoid legal fees and home report fees.